The Pedal Walker is fun and exciting for either rehabilitation or just pure recreation! - Detachable handrails offer additional balance coordination. 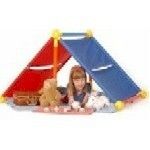 Its sturdy construction will ensure years of play and fun. Recommended for ages 3 and up. Maximum weight capacity is 100lbs. 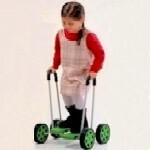 Your child will view the Pedal Walker as an exciting toy, while you will view it as an exceptional physical exercise. 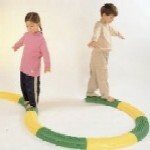 The Tactile Curve Path is a must for any parent or therapist who has a child who responds to tactile stimulation! The Toobeez building kit can be used to build an endless number of 3-D shapes that can bring your child's imagination to unforeseeable heights! A must in every household, for every family, the Toobeez building kit provides hours upon hours of fun.